Student Academy Award Winners: Where Are They Now? Academy Awards aren’t just for established, working filmmakers — why not win one while still in film school? The Student Academy Awards (originally named the Student Film Awards) is the Academy of Motion Picture Arts and Sciences award ceremony recognizing excellence in student films. Though there’s an extensive list of rules to apply for the competition, students should consider submitting their work to the Student Academy Awards because the field is only open to film school students – unlike festivals, which are open to the general public. Also unlike festivals, there is no entry fee to submit. Most importantly, many winners have had subsequent professional success in film and television. 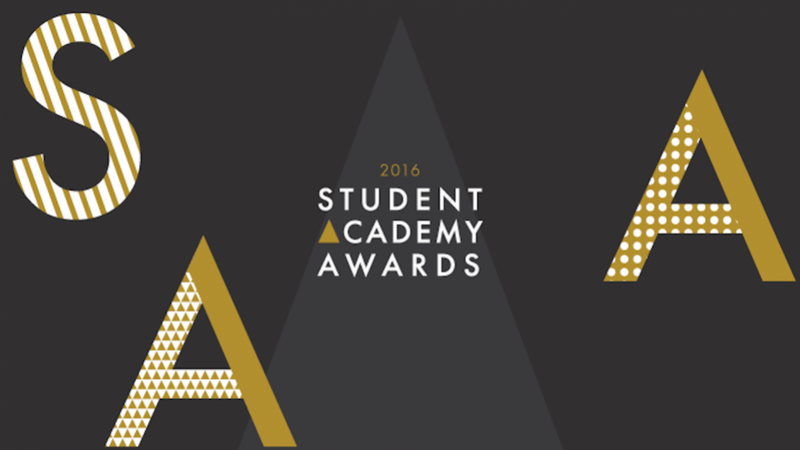 As a result, the Student Academy Awards are closely watched by the industry for upcoming talent. The number of awards and their specific names have changed significantly over the years. Today there are four main categories: Narrative (named “Dramatic” until 1999), Animation, Documentary, and Alternative. There are also International Awards for the Narrative, Animation, and Documentary categories. In the aftermath of his win, Kwapis was hired to direct two made-for-TV teen films. In 1985, he released two feature films for children – The Beniker Gang (1985) and Sesame Street Presents Follow That Bird (1985). After directing several other unsuccessful features, he returned to television. His biggest television success is The Office (2005). Kwapis directed fourteen episodes of the series, including the first two episodes and the finale. He also directed episodes of The Larry Sanders Show, Malcolm in the Middle, ER, Freaks and Geeks, The Bernie Mac Show, and Parks and Recreation, and is recognized for being one of the directors behind the resurgence of the single-camera sitcom in the early 2000s. The style and tone of Joe’s Bed-Stuy Barbershop: We Cut Heads (1983) precedes Lee’s early Brooklyn films like She’s Got to Have It (1986) and Do the Right Thing (1989). Joe’s Bed-Stuy Barbershop was the first student film to be featured in New York City’s prestigious New Directors/New Films Festival, allowing Lee to make an immediate impact in the industry. Lee’s assistant director on the film was classmate Ang Lee (no relation), who would go on to win two Best Director Oscars on his own. Zemeckis’ special prize for A Field of Honor (1973) won him a mentor in Steven Spielberg, creating one of the most financially successful entertainment partnerships in the 1980s and early 1990s. Zemeckis directed Back to the Future (and its sequels), Who Framed Roger Rabbit, Cast Away, The Polar Express, Flight, and Forrest Gump (for which he won a Best Director Oscar). On the strength of his student films, Pete Docter was offered a job at Pixar and began the day after his college graduation. He worked as an animator on Toy Story (1995) and followed that by directing or co-directing Monsters, Inc., Up, and Inside Out, the latter two both winning Oscars for Best Animated Feature. He also was nominated for the Best Original Screenplay Oscar for Inside Out. While in college, Trey Parker and co-director Chris Graves asked exchange student Junichi Nishimura to explain American History and animated the conversation with construction paper cutouts. That moment of hysterical brilliance launched Parker to later co-create (with Matt Stone) early versions of their series South Park using the same technique. Parker and Stone have been celebrating the massive success of South Park for over 20 years. Being one of the few students to be awarded two Student Film Awards, Lasseter was quickly hired by Disney. Though he was fired from Disney after only four years, Lasseter was hired by Lucasfilm for the nascent Pixar and directed many of its groundbreaking shorts, including Luxo Jr. He later directed Pixar’s earliest feature films: Toy Story, A Bug’s Life, and Toy Story 2, which set the tone for the company’s celebrated output. Today he is the Chief Creative Officer at Pixar and Walt Disney Studios, and has produced dozens of Disney and Pixar releases. TV’s Danny Tanner‘s award-winning student film is a documentary about a boy receiving reconstructive facial surgery, which obviously has very little to do with his future career as a sitcom dad and raunchy comedian. The closest thing to a documentary that he’s directed since is the 2007 “documentary parody” Farce of the Penguins. While Saget hasn’t been much of a documentarian, he’s obviously been a great success in entertainment. Lazin’s The Flapper Story became the second student film to be accepted in New York City’s prestigious New Directors/New Films Festival. She quickly found work at the fledgling MTV, later becoming Senior Vice President of MTV News & Docs, where she worked on numerous projects including Tupac: Resurrection, which was nominated for Best Documentary at the 2005 Oscars. She has since directed and produced dozens of documentaries for MTV, VH1, Nickelodeon, and other cable channels. After winning a Student Academy Award, Krauss’ The Death of Kevin Carter: Casualty of the Bang Bang Club was also nominated for the Best Short Subject Documentary Oscar only a few months later. Krauss continues to direct a number of award-winning documentaries, including The Most Dangerous Man in America: Daniel Ellsberg and the Pentagon Papers, The Movement: One Man Joins an Uprising, We Are Legion: The Story of the Hacktivists, Inequality for All, The Kill Team, and Extremis (nominated for an Oscar for Best Documentary Short Subject). https://infocusfilmschool.com/wp-content/uploads/2018/01/blue-circle-logo-2.png 0 0 InFocus Film School https://infocusfilmschool.com/wp-content/uploads/2018/01/blue-circle-logo-2.png InFocus Film School2017-07-06 15:05:492017-07-14 14:52:39Student Academy Award Winners: Where Are They Now?